LED (light emitting diode) is a semi conductor light source which is used for lighting in many devices. The LED light was introduced in 1962 as a low intensity red light. Today, modern versions are available in different variations including visible, ultraviolet and infrared wavelengths. 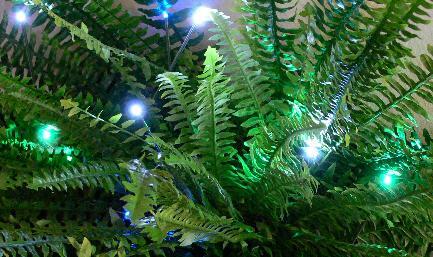 LED garden lights consume lesser energy and have faster switching. Due to its durability and reliability, LED lights can be used for a long time. LED garden lights are ninety percent more efficient than standard incandescent lamps. There are two types of LED garden lighting which are solar LED garden lighting or LED garden lighting based on low voltage circuit. Solar LED lights are easier to be installed. In solar LED lights, the photovoltaic cell is responsible for emitting the light and the battery serves as the storage for the power. The solar LED lights and its accessories (including the batteries and LED bulbs) are contained in one unit. Solar LED lighting is easier to installed compare with the one based on low voltage circuit. Despite the simple installation of solar powered LED lights, most people choose to use LED lights that run on a low voltage circuit. In order for solar LED lights to work efficiently, they must be placed in a place that is exposed to full sunlight. In addition, you will have little options in the types of lights because the size of the LED lights must be able to accommodate the photovoltaic cell. Opting for LED lights that run on a low voltage circuit will remove these limitations. With LED powered on low voltage circuit, you will be able to take advantage of the large variety of fixtures for your lights. LED lights is more expensive but they can help you to save on the electricity bills in the long term. The cost savings will vary based on the states where you live in. The 50,0000 hours 7W LED garden lights will save approximately 8 hours of electricity bills from a 50W incandescent bulb. The LED lights can last up to 17 years before they will be replaced. If the LED light is installed in a hard to reach place, you can avoid the hassle of replacing it from time to time since LED light can last for a long time. You will never have to drive to the store, buy the LED, and take out the ladder to dispose the old bulbs and reinstall the new ones. The benefit is suitable for people who installed a lot of LED lights in one place in the garden. If you want to install the LEDs to a garden lighting system, make sure the LED lights is compatible with a traditional 12 volt transformer. If you want to expand the current lighting system, you will need two transformers. The current transformer is used to provide energy to the incandescent lights whereas the new LED transformer is used to power the LED lights.